Did You Fire the Boss? Early in my corporate career, whenever I was to interview for a job, there was one piece of advice I was sure to get. It would be either from family, or close friends, or both. So while that justification never made sense, at each interview, like clockwork, I would end up explaining exactly why I wanted to switch jobs. And at times, interviews ended exactly like I was warned they would. Despite sometimes having an initial advantage of more relevant experience. While the reasons for it could have been anything, friends and family always blamed it on my ignoring their advice. Logically though, wouldn’t your reason for wanting to leave something reflect a truer form of YOU than otherwise? Like saying ‘no’ often says more about you than a reluctant or helpless ‘yes’ does. It probably shows what you believe in, what you stand for, and what you don’t tolerate. Which maybe right or foolish. But it reflects your priorities, your grit, even your disposition? The interviewer is looking for the smallest of factors he or she can possibly gather to add to the mix. The mix from which a final decision on whether you are a good fit or not, will emerge. Many years later, I came across studies citing that between 30-60% of employees quit their boss, and not their company. It meant that one or more persons were the reason for a good segment of employees leaving their companies. Some studies estimated an even higher percent, around 70% or more! While this isn’t a rant against bosses, it is an attempt to know why we can’t, or shouldn’t, be more transparent during interviews. A close friend of mine cited a relevant story some time back. He had interviewed two candidates for his team, and he had contacted their common ex-boss for verification. The ex-boss strongly advised my friend against hiring them, citing numerous reasons that sounded more personal and spiteful, than to do with talent. However, having already had a few rounds of interactions, and seeing the potential in them, my friend ignored the ex-boss’s advice and hired them. A long time later, he was glad he went against the advice of their earlier boss, as the two were still around, doing really well, both for themselves, and for the company. But there are many others who would have dropped those two at the first sign of a warning from even a stranger. And yet during interviews, most interviewers still prefer hearing lies and super-cliches as reasons for wanting to change jobs. Candidate reasons instead, will range from their untapped potential, recently discovered talent, more responsibilities, to sharpening their focus/ efforts. Like some candidates whose reply to mentioning weaknesses, is ‘being a perfectionist’. Even if the only thing they’ve been perfect at, is leaving office on the dot, irrespective of deadlines. But you obviously can’t mention forbidden answers. Look forward to your views. If you liked this post, consider subscribing to my blog (top right of page) for topics that encourage reflection/ discussion. You can also connect with me on LinkedIn and on Twitter. Author Shrutin N ShettyPosted on May 18, 2017 March 10, 2018 Categories Human Behaviour, Life or something like itTags boss, employee, employer, growth, interview, interviewer, quit, reason, resume, Shrutin Shetty, skill, talent, transparentLeave a comment on Did You Fire the Boss? 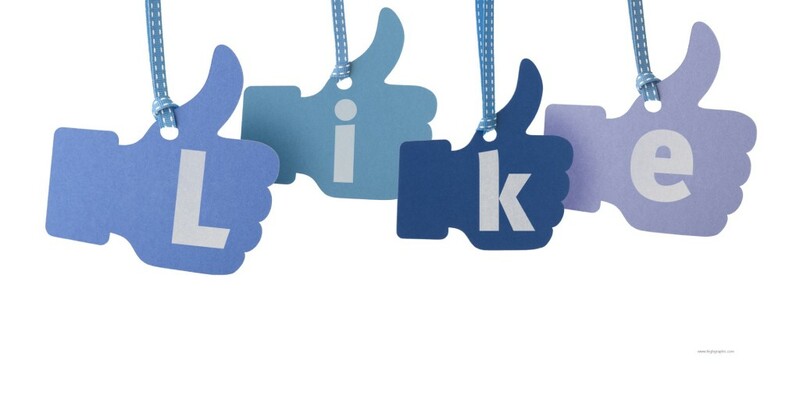 I have always disliked the idea of businesses buying, and friends forcing ‘Likes’ on Facebook. The number of likes really skews the picture. It makes it difficult to differentiate between a business that has bought 300 likes from one that has earned 200 likes with quality business and customer delight. Surely, Twitter, feedback, and public reviews help maintain some transparency in the quality of services and show truer pictures of companies. But we cannot always be expected to undertake massive research before taking small decisions. If that percentage isn’t too high, you might want to re-look your focus on one of your important customer bases, your employees. If they don’t “like” you, how do you expect your customers to? And there are a few suggestions from an older post, in case you missed that one [Like Endorsing, Endorse Liking?]. I’ll leave you with a good ‘ol song you might ‘like’. [May not be safe for work]. Work Smarter, or Work Longer? I guess the longer working hours became more and more common only in the last decade or slightly more, but it’s quite surprising that it seems to be going strong even to this day in many companies. And not only do companies demand more of the employee’s time, employees surprisingly take pride in claiming they work anywhere for those 15 or 18 hours a day, day after day. Now, I don’t know about other educational courses, but anyone who’s done their engineering, or even sat through a 3-4 hour management ‘discourse’ would know how the brain just shuts off after a bit. Or for that matter, even if you were busy working on a school or college project on a tight deadline, after hours of continuous work, am sure you would have realized that while it was perhaps possible to continue doing some monotonous mindless repetitions (say copying full paragraphs from one document to another), it was near impossible to do something creative or something that required you to reason. I know for sure from personal experience. During engineering, I was up for 2.5 days straight during a week-long cultural event at college. And somewhere towards the end of that 2.5 days, some genius put me in charge of handling music for a group dance. And at any other time, I could operate the Winamp shortcuts blindfolded, but right there and then, I goofed, and stopped instead of pausing a track. Thankfully the highly skilled bunch of girls picked up from some random music position I started again, and they were big-hearted enough to spare me later too. Anyway, so how is it humanly possible to go through those extra long work hour days without losing out on productivity and creativity? Sure you’d probably manage to impress a superior who thinks ‘long work hours=value for money on employee salary’, but am sure others would realize what they are losing in the bargain, the purpose for which they had hired you in the first place. Author Shrutin N ShettyPosted on November 21, 2011 Categories ImproveTags college, creative, employee, engineering, hard work, productive, school, winamp, workLeave a comment on Work Smarter, or Work Longer? This one’s for all those people who’ve found their goal, and work towards it like nothing else matters, like there is no tomorrow. And for all those who know the true meaning of rules, the sensible rules at least. Have you ever been in a state where you’re head is filled with the purest rage? Where you think, ‘once more someone messes with me regarding (whatever), and they’re really gonna get it? What happened was, that an airline attendant, Steven Slater, who probably had his share of responsibilities and troubles, got pushed a little too much when a passenger stood up to fetch his luggage on the aircraft before the crew had given permission. When Slater instructed the man over the PAS to remain seated, the passenger goes ahead with removing his luggage. And when Slater reaches the passenger, he accidentally gets hit on the head by the luggage the passenger was trying to remove. Now this, in itself, is a random accident that could happen to anyone. But when Slater asked for an apology, the passenger proceeds to curse him. So that’s two mistakes by one moron of a passenger. Firstly, not following rules, and then throwing his weight on someone trying to enforce those rules. Slater, who apparently has served 20 years in the industry, (20 whole years is a bloody long time eh! ), was a regular chap, who had been recently caring for his dying mother, who happened to be a retired flight attendant. His father too was a pilot in his day. Slater happened to be the leader of the airline’s uniform redesign committee apart from being a member of the airline’s in-flight values committee. So I guess that does speak for his character, abilities and his work. There’s something that the average consumer, customer or colleague often doesn’t understand. That different industries and businesses have rules for the purpose of the very meaning of the word, rule = that which is prescribed or laid down as a guide for conduct or action. So obviously, being aware of the risks, or to maintain an orderly way of doing things, rules are laid down. But most beings, thinking themselves the wiser, feel that they can merely bend the rules a bit to accommodate their holiness. It’s easy when the average self-centered soul thinks that way. But what happens when everyone starts thinking that way. We get chaos. We get three lines at a counter where there’s supposed to be only one, we get five lines of cars on a road with three lanes, we get the ‘everyone’s doing it so why cant I?’ question staring you in the face. We get herd mentality. We also get more fights, more abusing, more punches, etc. Because they are not the only self-centered one around, there are more like them always around, many more. And then what happens. The last straw. What’s worse, is that oftentimes, the one pushed off the edge for no fault of theirs, gets punished too. Like Slater, who after letting out a string of expletives at the passenger over the PAS, grabbed a beer, activated the emergency-evacuation chute, and slid down and drove home, only to have his home surrounded by police officers, detectives and port authorities, and him, arrested. Normal people don’t do such crazy things. Grab a beer and jump out of a plane. As ridiculous as that sounds, bloody cool even. But no, normal people wouldn’t take their job that seriously either. Most of the kind of staff I have seen on airlines or even with some people I’ve had the (dis)pleasure of working with, they wouldn’t have bothered too hard in trying to enforce rules and regulations to that extent. They try a bit, and then don’t bother. So it’s usually the most hard working, the most driven and most dedicated of employees who usually end up reacting in such extreme ways when they are constantly pushed against the wall for their efforts and dedication. It’s because, on a scale from 0 to 100, the average expectation of, say quality, or enforceability of a rule for a normal person is, say 50. The normal chap or gal would expect something in the 45-55 range under most circumstances. So when the weird folk bend the rules to say a 40 or even 30, they think they’re just doing something that’s 10-20 units off the normal. Not too big a deal. But to that crazy dedicated worker, the normal delivery expectation he or she provides is nothing less that a 95. When someone’s screwing about with rules (pushing it to the 30’s or 40’s), regular employees think they’re 10-20 below average. From the dedicated fellow’s point of view however, they’re way below the 95 average. Which is why you then get the extreme reaction to situations like this. Reminds me of the movie ‘The Rock’. Am pretty sure most of you who watched it, ‘wowed’ at the story, the action, and then forgot about it. But give it some more thought. The story of a Brigadier who takes tourists hostage as a final desperate attempt. An effort to get the government to open its eyes to a cause he’s fighting for. The deaths of fellow marines killed in action, who have been denied even the honour for their ultimate sacrifice. But somehow, that fight of the Brigadier General is never addressed during the rest of the movie. Or realized even by most people who watched the movie. So, through most of the movie, the Brigadier General is viewed as the bad guy. It is only a few people who follow the rules to that level, work towards something with everything they’ve got, and the least they expect, or rather deserve; is respect for their efforts. And when finally, their efforts aren’t leading to anything, they sometimes end up getting frustrated and taking a drastic step in a final attempt at bringing out the flaw in the system…only to be rewarded with punishment. Rather than look at the final action, it would do some help if people were to even look at the situations and all the causative factors which eventually culminate in that one drastic or so-called stupid career-killing step. I guess the world expects people to merely reconcile themselves with things that happen. To not complain, challenge, nor question it.